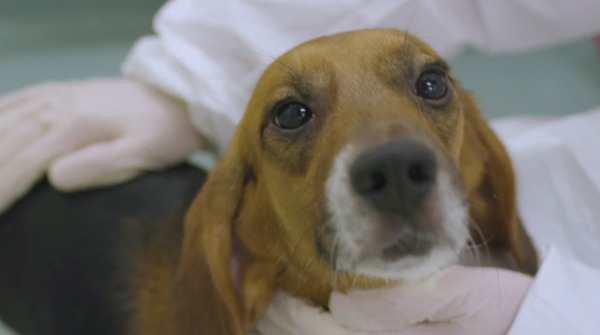 Love, Care, Progress: Research Involving Dogs is the inaugural video in the Love, Care, Progress series, focused on the important role of canines in health research which benefits humans and dogs alike. Research professionals, including a trainer, scientist, animal behaviorist, surgical manager, and veterinarian talk about caring for the animals in their charge, their pride in the progress made possible in studies with these animals, and the continual quest for improvements in research animal care. Several dogs can be seen enjoying their time with technicians in a facility playroom. This is the reality seen in research facilities across the United States: the love and care given to research animals and the commitment to progress in developing new treatments to enhance the lives of both animals and people.